Could a Synthetic Brain Make Manufacturing Automation More Accessible? Imagine a future in which anyone with a dream can easily turn it into a physical product. In that future, all you need to make the dream real is to communicate what you want through words. You don’t need an engineering degree or a background in industrial design or manufacturing, just an idea. This can (and will) happen, but first, some things need to change—starting with access to manufacturing automation. Right now, automation is the privilege of large manufacturers with, simply put, tons of money. These organizations dominate manufacturing because they have the resources to invest in the means of automation. Perhaps not surprising, the cost of automation is much more than the price of the equipment itself; nearly three-quarters of automation’s cost is often not in the hardware but in the expensive, laborious, time-consuming process integration. That includes the setup, training, certification, maintenance, and troubleshooting required to effectively run the automation system. Modern manufacturing might look completely different in the coming years, thanks to research happening today. This entrenched ecosystem has prevented the spread of automation because manufacturers must pass through the process-integration gate. Automation does not have to be prohibitively expensive, but disruption is needed to break up the integration stronghold and make automation truly democratic—meaning everybody, even the smallest shop, can adopt it. The way to get there is by creating a synthetic brain. What Is the Synthetic Brain? The synthetic brain is a combination of hardware and software that, in essence, can re-create one of the most interesting aspects of being human: the ability to learn by experience. The synthetic brain’s component parts enable an environment of cognition, analysis, and data collection that gives a robot with the synthetic brain the ability to reprogram itself, or “rewire” its brain circuits, in a space of hours. The synthetic brain comprises three parts—hardware, software, and sensors—to create the perfect ecosystem. The sensors are the eyes and ears that collect data, which the hardware processes. And computational software, which is artificial intelligence (AI) in the form of deep learning, can then log all of the new experiences being taken in, add them to its memory, learn from those experiences, and use them to inform future tasks. 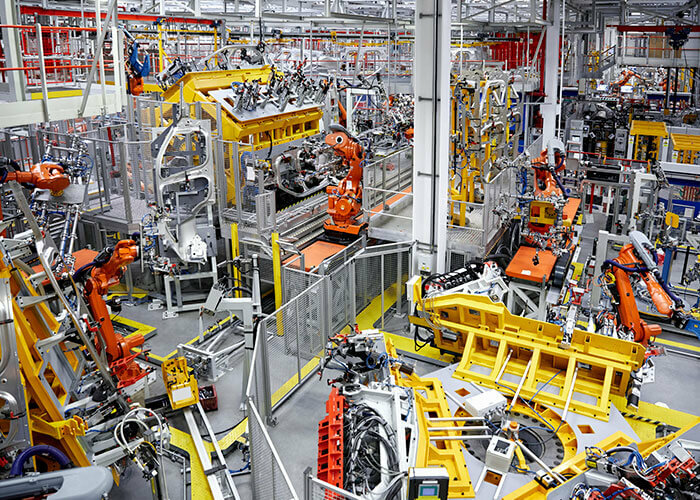 The manufacturing robot is suddenly no longer a single-task machine that needs to be preprogrammed. 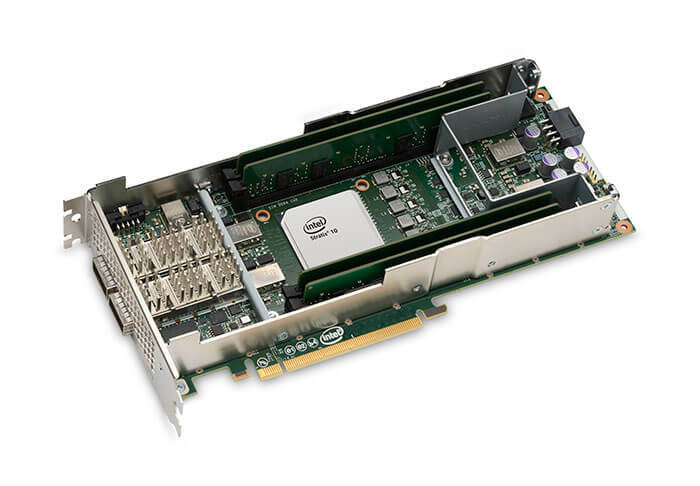 Microsoft’s investment in field-programmable gate arrays (FPGAs), like the Intel Stratix 10 used to power the tech giant’s Project Brainwave, has been a boon for the technology’s usability and adoption. Courtesy Intel. How Does the Synthetic Brain Work? The key to the synthetic brain is an adaptable piece of hardware called a field-programmable gate array, or FPGA. It’s essentially an integrated circuit with an array of programmable blocks that can be configured as needed in the field. Although FPGAs have been around since the mid-1980s, until recently, they have been extremely difficult to program and thus not widely used. But thanks to some heavy investment from the likes of Microsoft, FPGAs now have better interfaces that make them easier to program, or “teach,” and infinitely more accessible. The FPGA works like this: For the first few months that a synthetic-brain-equipped robot is in use, the machine constantly learns new experiences based on the various tasks you give it; the robot is learning by doing, like a child. During that time, you may need to rearrange the hardware to make it more effective—but you can do that without buying new hardware because the FPGA is programmable. It’s similar to “rewiring” like the human brain does: based on the experience you acquire every day. The software component is AI in the form of deep learning. Until now, AI was limited in that it was laser focused to solve just one problem. That meant that most of the time, you couldn’t apply that intelligence to any situation other than the one it was designed for. But that’s not how the human brain works. Your brain is infinitely capable to take any experience and extrapolate that onto another scenario, taking advantage of what you have learned and applying it in a totally different context. Fortunately, AI has progressed to the point that it can work this way, too. Because the synthetic brain has the AI onboard, it does not rely on the cloud. Because the synthetic brain has the AI onboard, it does not rely on the cloud. Rather, it’s continuously cataloging, learning from, and building upon the sensor data forever coming in, helping the robot understand its surroundings and understand you. The AI is holding on to the information it deems important and forgetting what is not relevant, using a bottleneck to filter the data. The deep-learning AI reprograms the FPGA network as needed to prepare the robot for new tasks. What this means for manufacturing is that with just one robot outfitted with a synthetic brain, anyone can produce almost anything—in whatever quantity—because the robot can adapt and reprogram itself. A traditional factory is no longer necessary; the only space required is to house the robot cell. Better yet, process integration becomes a thing of the past because all of the knowledge comes with the synthetic brain. Armed with that knowledge, the robot can approach any task with the ability to say, “That’s how I lay this material; that’s how I create a blade; that’s how I create a wing; that’s how I create a column,” and so forth. That’s because all of the physics are solved inside, including the capacity to work with different materials, from steel to a polymer to a fiber, while remaining in the same cell. The robot is adaptable, no longer stuck doing pick-and-place tasks. See Also: Could Small-Town USA Be the Future of the Manufacturing Industry? This robot likely looks nothing like the industrial robots in today’s factories. It’s lighter; it’s more flexible; and it requires far less energy to operate, much like human bodies don’t require huge amounts of power to move. The synthetic-brain-powered robot is essentially a graphical interface with the ability to communicate with you by processing your spoken language, as well as your body language and facial expressions. Taken all together, this will help the robot fully understand whether the artifact it builds matches the idea you have in your mind. That communication between human and robot is really what you will buy in the future, not software or a machine. You will buy the knowledge to communicate and to solve problems—from the first moment you buy the robot—no training required. Just like that, the means of manufacturing automation are available anyone. Learn how FPGA synthetic brains will make construction smart. Learn how synthetic brains like FPGAs will help make construction smarter. Synthetic-brain technology is possible only because the hardware is finally more accessible, AI has progressed past single-function learning, and sensors are incredibly cheap. 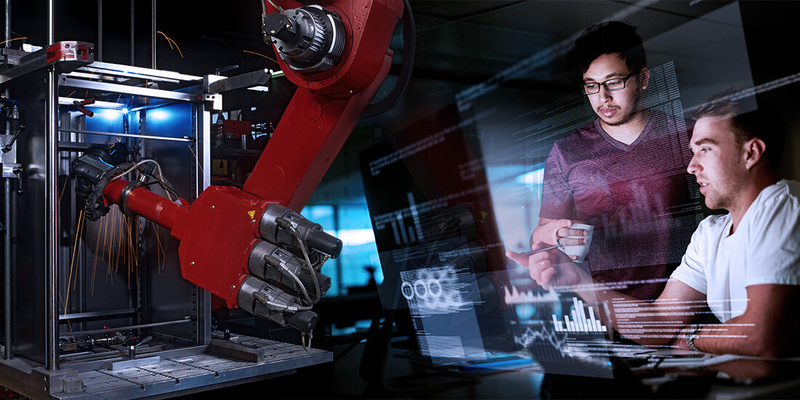 But for the technology to really take hold, large and small manufacturers need to be open to innovation, accept new ways of learning and working, and welcome the disruption. This technology presents an opportunity to get uncomfortable, to lose the conservative pace so often associated with the industry. Synthetic-brain research is happening now, and this year, my team at Autodesk will demonstrate that a single robot outfitted with a synthetic brain can rewire itself to produce three different components: one for aerospace, one for construction, and one for automotive. This robot will show that it is tailored to the knowledge it has gathered and can adapt that knowledge for different tasks it’s requested to perform. In my opinion, this system will really start to take off in the next three to five years. In that time, it will become increasingly clear that an innovation such as the synthetic brain will be necessary to solve the cross-functional design, build, and manufacturing problems of tomorrow. With automation available to all, anyone from mechanical engineers to philosophers to biologists can produce viable solutions to those problems. They just need to start with a dream.